This is brilliant news! 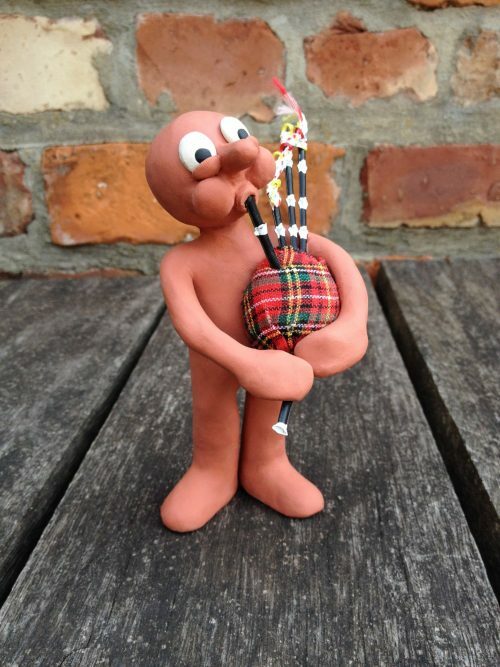 Morph is back and doing the Edinburgh Fringe! Well, sort of. He, along with one of his fathers, Peter Lord are doing a workshop at the festival. The classic children’s character Morph was one of the first creations to come out of the world-famous Aardman animation studios (home of Wallace & Gromit and Shaun the Sheep), and he remains one of their best-loved characters. The little character made from terracotta-coloured clay made his TV début on BBC One in 1977 in the children’s art show Take Hart, and was a regular fixture on TV for over two decades entertaining an entire generation with his slapstick antics. Almost 40 years on, and still brought to life through the traditional stop-motion animation, Morph and his mischievous pal Chas are back with some new adventures which premiered on his YouTube channel last summer, and return to TV on CBBC in June 2015 for a whole new generation of children to enjoy. And now Morph’s coming to the Fringe! Learn how to make your own Morph with some help from an expert modelmaker from the award-winning Aardman studios in Bristol. There will be two hands-on Morph modelmaking workshops each day at 2pm and 5pm from the 28th to 31st August. Morph-tastic, creative fun for the whole family! Morph’s co-creator and the co-founder of Aardman Peter Lord, will also be at the Fringe on Saturday 29th August for ‘A Morning with Morph’ where he will be joined by a very special guest host for a one-off event to share some of his favourite Morph moments, old and new.